Polybutene-1 piping systems are used worldwide for District Energy networks supplying public buildings and facilities, apartment blocks and office complexes with heating or cooling from efficient and environmentally optimal centrally located sources. Polybutene-1 offers many significant benefits for systems including flexibility, high pressure capability, no corrosion, and low heat loss. PB-1 piping systems are specified for District Energy networks because of their flexibility, thermal efficiency and life expectancy at high temperatures of up to 95°C. District Energy systems supply hot water or steam for heating, and chilled water for cooling public buildings and facilities, apartment blocks, office complexes and similar structures from a central plant source. The hot or chilled water is distributed in insulated piping systems which are installed underground. In many European cities, large district energy networks are in operation, transporting heating or cooling over many kilometres with minimum thermal loss to consumers. The key advantage of centrally produced heat (via water or steam) is that environmentally friendly sources can be used and combined. The major part is sourced from caloric power plants using the waste heat from electric power production. This is called co-generation. Electricity and heat produced at the same time doubles the efficiency rating compared to single electrical plants from 40% to over 80%. Other important sources are the heat from waste incineration plants, industrial processes and increasingly from green energy sources such as biomass, biogas, geothermal and solar. Another kind of District Energy is the central supply of heating for schools and universities, hotel resorts, airports or shopping centres. This is called Group Heating. District Energy (also known as District Heating & Cooling) has been used for community heating for almost 100 years in Europe. Until 1980, only steel systems with insulation were installed, mainly in concrete ducts. Pre-insulated systems were introduced in 1974, but they still used steel pipes that had one main problem – corrosion. 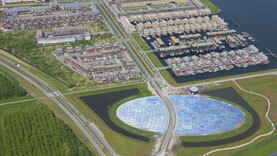 There was an incentive therefore for energy suppliers all over the world to search for non-corrosive solutions. Pre-insulated PB-1 piping systems are a key component of District Energy. Using advanced production technology, pre-insulated pipes are made from environmentally friendly materials and fully recyclable grades from the Polyolefin material family. These materials include Polybutene-1 internal pipe, flexible, closed cell polyolefin foam and the flexible high density polyethylene outer cover. PB-1 has the highest pressure rating compared to PE-X and PP, low heat loss, and best in class chemical resistance, particularly for aggressive geothermal water. Heat loss of less than 1°C per km. Long-term performance up to a maximum service temperature of 95°C, with the highest pressure rating compared to PE-X and PP. 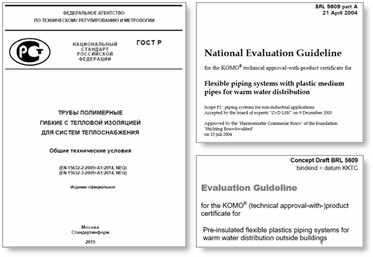 Comprehensive systems of pre-insulated pipes and weldable fittings available for the full spectrum of requirements. 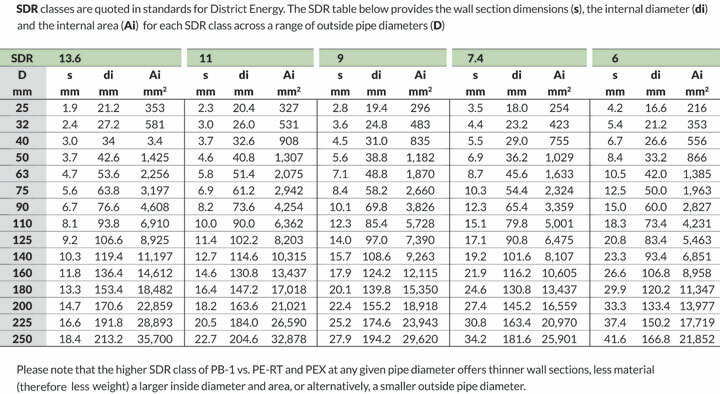 For District Energy projects, the true cost variation of piping systems across competing materials is more than a per length cost comparison for the same outside pipe diameter. When compared to PE-RT and PEX systems, PB-1 offers significant benefits across a broad range of performance categories all contributing to make PB-1 piping systems the optimum choice for high performance District Energy installations. 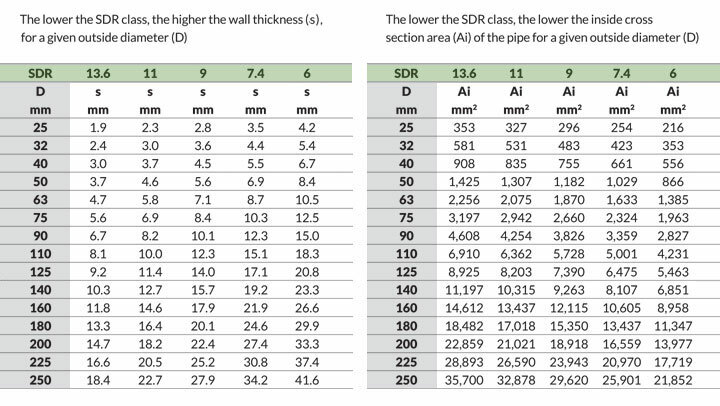 Why does SDR matter for District Energy systems? 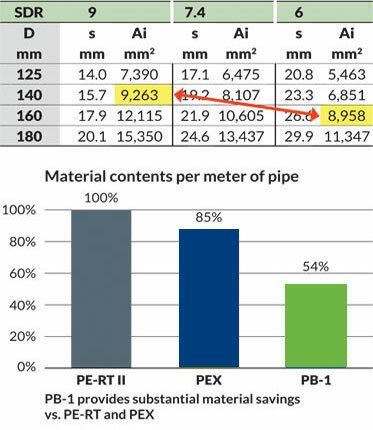 University result: "After 8 years in service, PB-1 pipe samples were stronger than new PB-1 pipes due to the tempering and annealing process over that period." An energy company based in Austria was one of the pioneers who investigated alternative solutions and instructed the Plastics Institute of the University of Leoben to carry out a testing program to find the best solutions for District Energy networks. The results for the inner pipe were clear: Polybutene-1 was the best plastic material for high temperatures (max. 95°C). This result encouraged the Austrian energy company to undertake a joint venture with a pipe manufacturing company to produce and market pre-insulated piping systems with Polybutene-1 inner pipes. Following those studies, 42 networks utilising 210 km of pipe have so far been installed in Austria. 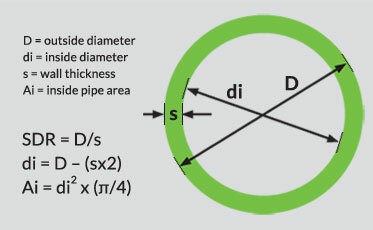 70 km of pipe were installed prior to 1987. These networks were so called "secondary networks" which were supplied from primary lines by means of central transformer stations with heat exchangers to reduce temperatures to max. 90°C and pressure to 5 bar. After 8 years in operation random samples of these Polybutene-1 pipes were sent to Austrian test institutes to compare the operational pipes with new ones. The amazing result was that the used pipes turned out to be even stronger than the new Polybutene-1 pipes – the tempering and annealing process on the pipes during service over the first eight years having a positive effect on the pipes. The very aggressive geothermal water in Vienna caused big problems with corrosion in metal pipes. As a result, in 1972 when the new Geothermal Centre in Vienna was being planned, a 2 year test cycle was undertaken with various pipes made of stainless steel, PVC-C, epoxy and Polybutene-1. Polybutene-1 proved to be the best material and was subsequently installed for all geothermal lines from the source to the geothermal centre, with a 225 mm OD twin main line of 1.4 km, and some 2 km of internal pipes in sizes 20 mm to 225 mm OD. These pipes operated continuously for over 30 years (until the facility was expanded) at 54°C and 10 bar with no breakdown.